Marina Brownlee, the Robert Schirmer Professor of Spanish and Portuguese Languages and Cultures and Comparative Literature at Princeton University, writes on a variety of issues pertaining to medieval and early modern literature and theory. Her interests include periodization (and its discontents), cultural and linguistic translation, the literary representation of the senses, and the relationship of early tabloid literature to the 17th-century short story. She works primarily in Spanish, French, and Italian contexts. Her books include: The Cultural Labyrinth of María de Zayas, The Severed Word: Ovid’s ‘Heroides’ and the ‘Novela Sentimental’, The Status of the Reading Subject in the ‘Libro de Buen Amor’, and The Poetics of Literary Theory in Lope and Cervantes. She has co-edited a number of volumes on medieval and early modern topics, and most recently has edited a special issue of Duke’s Journal of Medieval and Early Modern Studies entitled Intricate Aliances: Early Modern Spain and England. 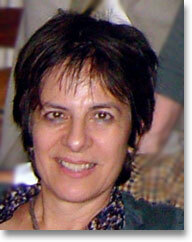 She is currently working on Hispanic articulations of poesis and modernity in the 16th century.